What if a debt collector does not Respond to a Validation Request? Question: The debt collector did not validate or verify disputed debt within 30-45 days, after I asked them to conduct an investigation. Is there anything I can do? Answer: Unfortunately the Fair Debt Collection Practices Act (FDCPA) does not enforce a particular timeframe that a debt collector must respond to a consumer’s validation request. What the FDCPA requires is that debt collectors provide consumers, within 5 days after initially contacting them, with “validation notices” setting forth some basic information about their debts and their rights during the debt collection process. And, if the consumer “disputes” a debt within 30-days of receipt of validation notices, then the debt collector must suspend collection efforts until they obtain “verification” of the debts. 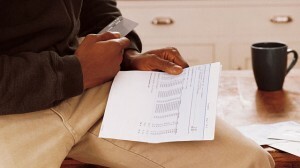 Debt collectors are prohibited from continued collection efforts until they respond to the debt validation request. If collection efforts continue, such as telephone calls, letters or even filing a debt collection lawsuit against you, the debt collector has violated the FDCPA. This is why you must document your efforts to request debt validation even though it may seem useless. While the rule sets forth a 30-day timeframe for consumers to request debt validation, it fails to set forth a time frame for debt collectors to respond. Sounds absurd right? But that’s the law, which seemingly makes debt validation ineffective. 1. Request Debt Validation Again. It may seem fruitless at this point but I suggest you send a 2nd Validation Request via Certified, Return Receipt Mail. It is important that you create a paper trail in case the debt collector brings a lawsuit against you or you file a lawsuit against them. When sending your 2nd Validation Request make sure you do not include a full cease and desist contact notice. A full cease and desist notice would prohibit the debt collector from contacting you except to provide notice of a lawsuit. 2. Dispute the debt with the Credit Bureaus. If the item is on your credit reports dispute it to see if the debt collector verifies the listing as accurate. If so, that is a violation as the debt collector failed to properly validate the debt with you. How can the debt collector verify with the credit bureaus without sending proper verification to the debtor? 3. State Resources. Once you have created a paper trail and documented your efforts to get proper debt validation; you now have the foundation to file complaints. Complaints with your State’s resources are no guarantee to resolve the issue but it has been effective for some consumers. Start with your state’s Attorney General, the FTC and the Better Business Bureau. If your state requires licensing for debt collectors, make a complaint with that office also. Additionally, the Attorney General in the state which the debt collector conducts business can also accept complaints. What I am saying to you is to be a thorn in their side. If you want debt validation (which they probably cannot provide) force the issue. Become such a pest with multiple complaints that they decide you are too much trouble to collect from and they delete the item from your credit reports. The best of luck to you.